Note: Not all reviews are available online. Subscribe to the print or electronic editions. A review of Social Security Works! Why Social Security Isn’t Going Broke and How Expanding It Will Help Us All by Nancy J. Altman and Eric R. Kingston, with a foreword by David Cay Johnston (New Press, 2015). A review of Other People’s Houses: How Decades of Bailouts, Captive Regulators, and Toxic Bankers Made Home Mortgages a Thrilling Business by Jennifer Taub. Yale University Press, 2014. Other People’s Houses is a must-read for those wanting to understand what happened to the American Dream of homeownership and building wealth by paying off one’s mortgage. It is a scholarly, insightful, and deeply depressing account of how the U.S. government let financial institutions impose excessive risks on middle-class households. The consequences of this are still being felt. A review of Capitalism in the Twenty-First Centuryby Thomas Picketty. Harvard University Press, 2014. Great works in economics address important issues head-on, adopt a broad perspective, and change our views regarding how economies work. 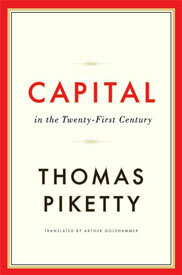 Make no mistake about it: Thomas Piketty’s Capital in the Twenty-First Century is a great work. As an added bonus, it is extremely well written (and translated). 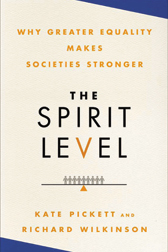 Given decades of rising inequality and its negative consequences (see The Spirit Level by Richard Wilkinson and Kate Pickett and my review in the May/June 2010 issue of Dollars & Sense) and public concern about a disappearing middle class, this book is particularly timely. It relies on a wide array of data, collected by the author, showing long-term trends in income and wealth distribution. It explains the causes of these trends and ends by setting forth some bold policy solutions. A review of Social Democratic Americaby Lane Kenworthy. 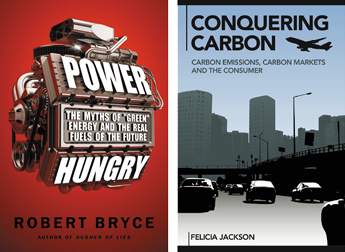 Oxford University Press, 2014. 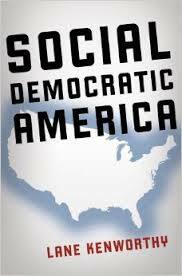 Social Democratic America argues that the United States can and should be more like the Nordic nations, providing a vast array of social programs that will improve economic welfare without impeding growth. Lane Kenworthy makes a strong case that we don’t need to reinvent the wheel to improve public policy. The United States can replicate successful programs employed elsewhere and fund them by eliminating ineffective policies. While government spending in the United States is proportionately much less than in Nordic nations, adding “tax expenditures” (deductions for things like mortgage interest) makes U.S. government spending close to levels in Norway. A review of The Public Bank Solution: From Austerity to Prosperityby Ellen Brown. Third Millenium Press, 2013.
by Joseph Stiglitz. W.W. Norton, 2012. Many of the basic facts about rising income inequality in the United States since 1980 are well known. The top 0.1% got filthy rich. The top 1% has done well. The middle class has shrunk, and the poor are poorer and more numerous. 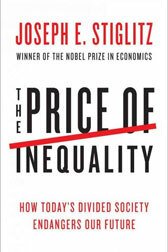 Anyone wanting to understand these changes should read The Price of Inequality by Joseph Stiglitz, a Nobel laureate, former World Bank chief economist, former chair of the Council of Economic Advisers, and now a Columbia University professor. As the title suggests, the book’s main focus is the cost of rising income inequality. 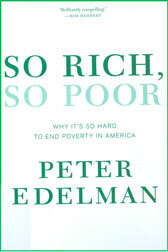 A review of So Rich, So Poor: Why It's So Hard to End Poverty in America, by Peter Edelman. (The New Press, 2012.). Edelman was an assistant secretary in the Department of Health and Human Services. His superb 2006 book, Reconnecting Disadvantaged Young Men (written with Harry Holzer and Paul Offner), advocated several policies to increase earnings for less-educated and less-skilled young men. A review of The Nickling and Diming of America, by David Cay Johnston. (Portfolio/Penguin, 2012.). A review of Caring for America: Home Health Workers in the Shadow of the Welfare State, by Eileen Boris and Jennifer Klein. (Oxford University Press, 2012.). 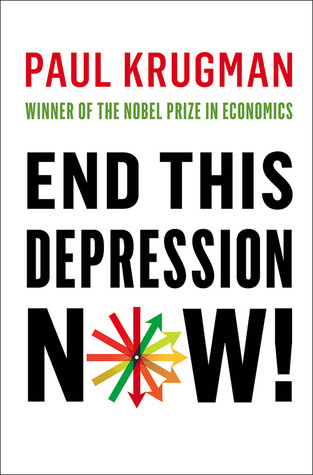 A review of End This Depression Now!, by Paul Krugman (W.W. Norton, 2012.). 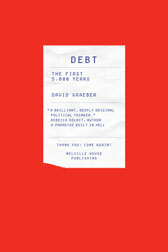 A review of Debt: The First 5,000 Years, by David Graeber (Melville House, 2011). A review of Someplace Like America: Tales from the New Great Depression. By Dale Maharidge, with photographs by Michael S. Williamson and a foreword by Bruce Springsteen. University of California Press, 2011. Economics is called the dismal science for good reason. But economists can be Pollyannas compared to journalists. Someplace Like America documents the consequences of a 30-year war against average Americans. It is a powerful story of the abandonment of the American worker. 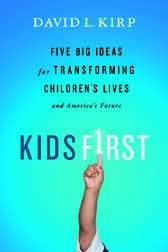 A review of Kids First: Five Big Ideas for Transforming Children’s Lives and America’s Future, by David Kirp (New York: Public Affairs, 2011). In a famous essay, the British political philosopher Isaiah Berlin drew a distinction between hedgehogs, which focus on just one thing, and foxes, which focus on many things. Each approach has strengths and weaknesses. Hedgehogs are relentless but not sufficiently diversified. Like Bill Murray in the movie "Groundhog Day," they attempt one thing over and over again until it (hopefully) gets done. The cunning fox devises many strategies to get what it wants and then demands that we do something to achieve that end but fails to prioritize its preferences. In some of the most powerful scenes in Maxed Out, the still-valuable 2007 documentary on consumer debt and predatory lending in America, the camera follows investigative reporter Michael Hudson as he visits people who had been deceived into signing onto exploitive mortgage loans that they had no chance of repaying. 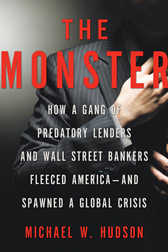 In The Monster, Hudson’s highly readable new book, victims are again present, with many compelling vignettes of people who were deceived or pressured (or both) into signing up for harmful high-cost loans. But his main focus this time is on the lenders. The heart of his book is based on interviews with scores of former employees, most of whom left the industry in disgust over the ways that they were forced to take advantage of people if they wanted to keep their jobs. 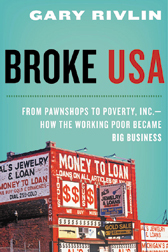 A review of Broke, USA by Gary Rivlin (New York: HarperCollins, 2010). Gary Rivlin’s illuminating but uneven book introduces us to dozens of people who make money by lending to the poor, and to others who battle these predatory lenders. 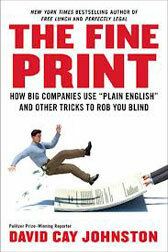 Their stories come from dozens of interviews conducted by the author and revolve around six industries—check-cashing outlets, rent-to-own shops, pawnbrokers, payday loan stores, tax preparers offering tax refund advances, and subprime mortgage lenders. Collectively, these industries make $150 billion in revenue per year; an average low-income family spends $3,800 annually on their services, around 15% of its meager income. 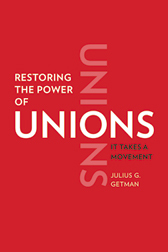 A review of Restoring the Power of Unions: It Takes A Movement by Julius Getman (New Haven, Yale University Press, 2010). 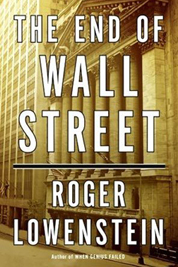 A review of The End of Wall Street by Roger Lowenstein (New York: Penguin Books, 2010). As we gain perspective on the greatest financial crisis since the Great Depression, store shelves abound with books seeking to explain how bankers have morphed from the conservative and prudent gnomes of Swiss legend to the underpants gnomes of South Park. 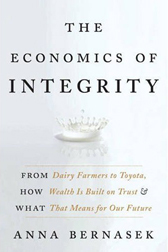 A review of The Economics of Integrity by Anna Bernasek (HarperCollins, 2010). In book publishing, as in comedy, timing is of utmost importance. Unfortunately, The Economics of Integrity appears amidst reports of serious defects with the brakes, accelerator pedals, and electrical system on millions of Toyotas. Since Toyota figures prominently in this book, it is likely that it will be dismissed as another case for ethical behavior. This would be too bad, because this is a very good book. 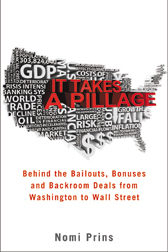 A review of It Takes a Pillage: Behind the Bailouts, Bonuses and Back-room Deals from Washington to Wall Street by Nomi Prins (John Wiley & Sons, 2009). It Takes a Pillage focuses on our current economic crisis—who to blame and how to prevent future crises. There are many people to blame. Near the top of my list, and Prins’, is Hank Paulson, CEO of Goldman Sachs before being made Treasury Secretary by President Bush. At Goldman and the Treasury, Paulson pushed for deregulating U.S. financial institutions. As late as the summer of 2008, he insisted that bailing out financial institutions was always a bad idea. And, oh yes, Paulson was the one who let Lehman go belly up.